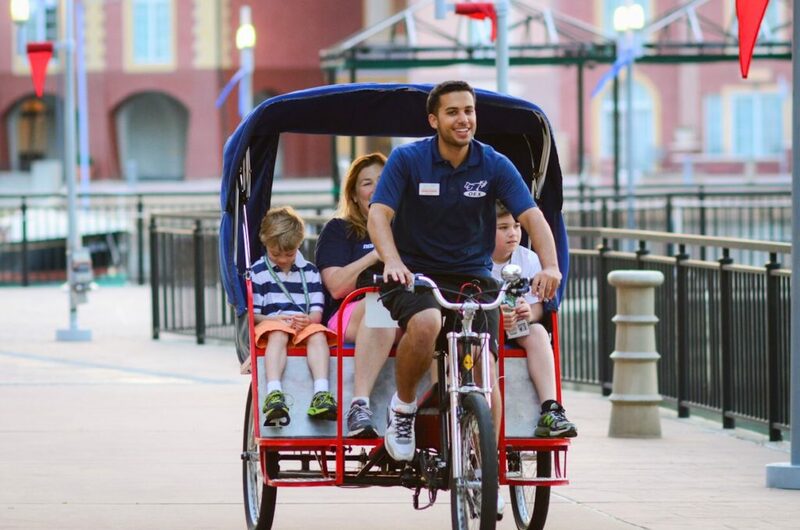 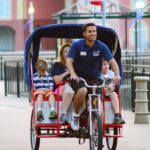 The Boardwalk Pedicab™ is a new family favorite! 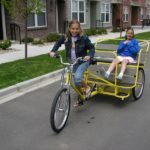 Perfect for taking the kids to the store, your friends to town or a weekend ride. 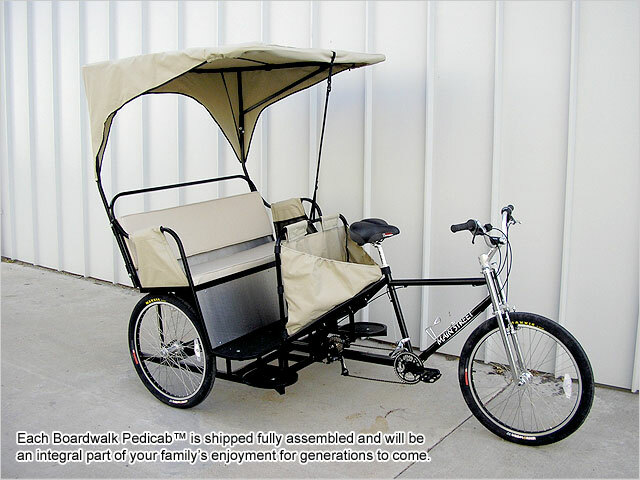 Each Boardwalk Pedicab™ has a strong, round, tubular steel alloy chassis with powdercoat finish & heavy duty steel axles. 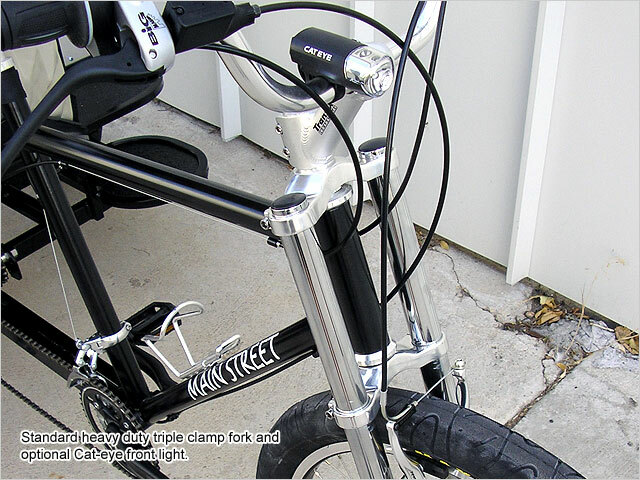 Features include 11″ side steps for easy entry, heavy duty triple-clamp fork and a 48″ seat for comfort with an optional storage area underneath. 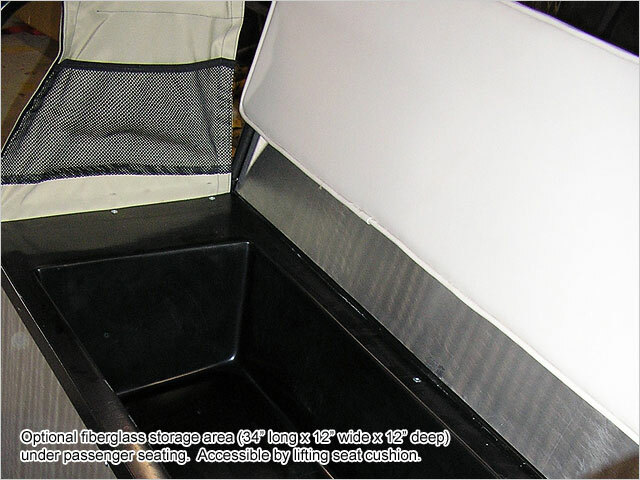 The passenger cab is steel sub-frame with comfortable vinyl upholstery in a variety of color choices. 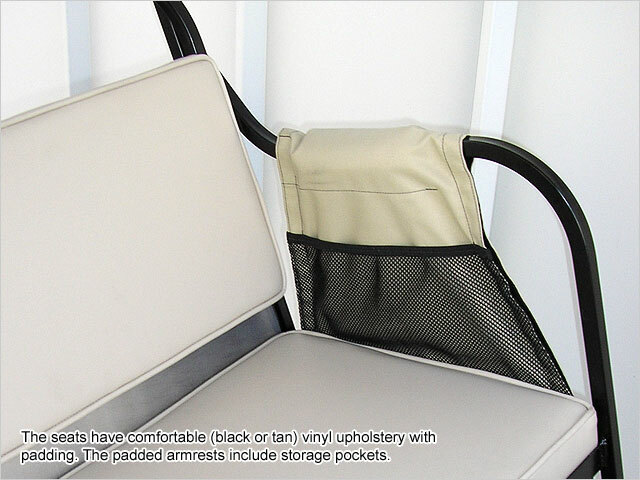 Padded seats, armrests with storage pockets, handrail and step is standard. 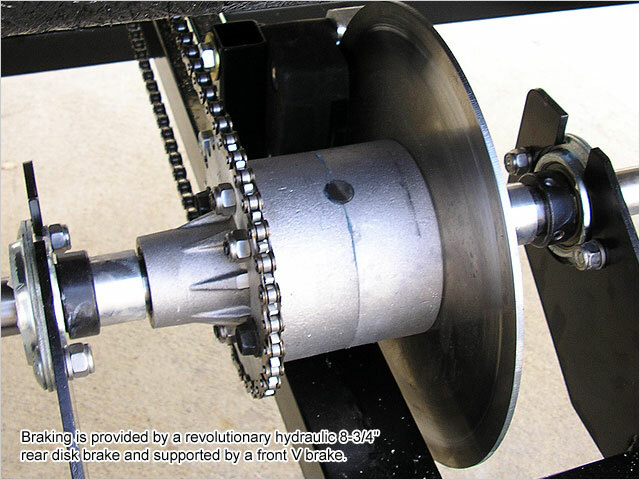 Braking is provided by a revolutionary hydraulic 8-3/4″ rear disk brake and supported by a front V-brake. 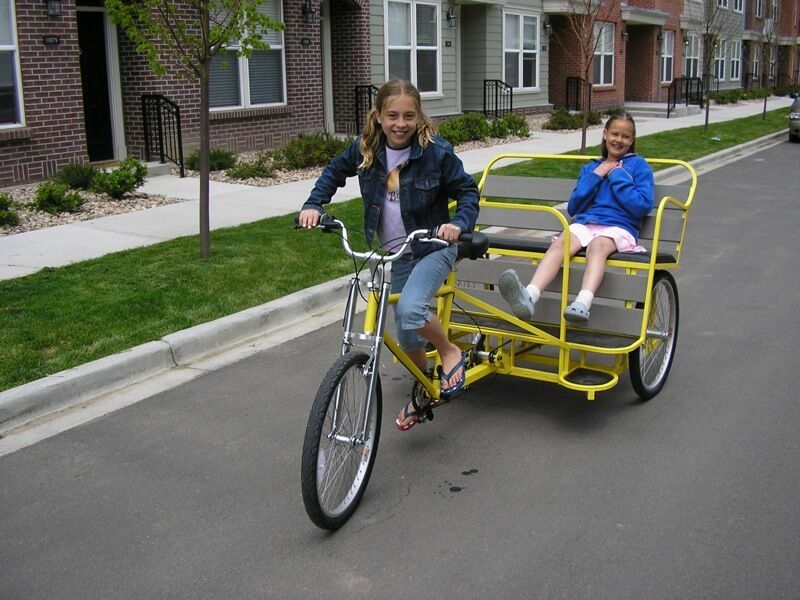 The Boardwalk will be an integral part of your family’s enjoyment for years to come. 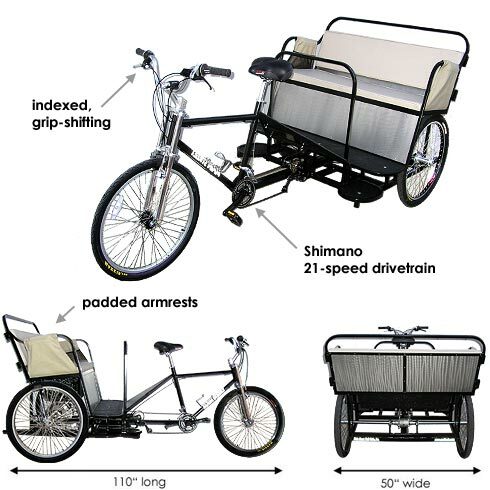 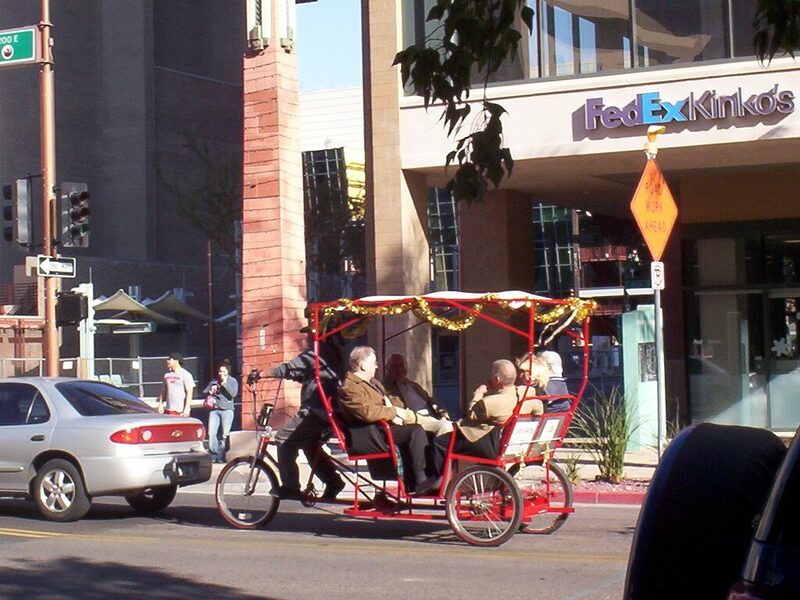 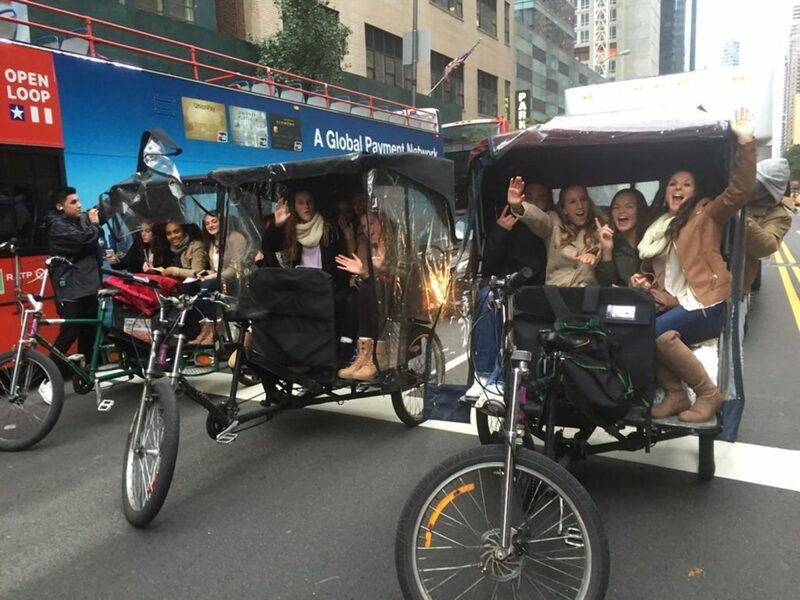 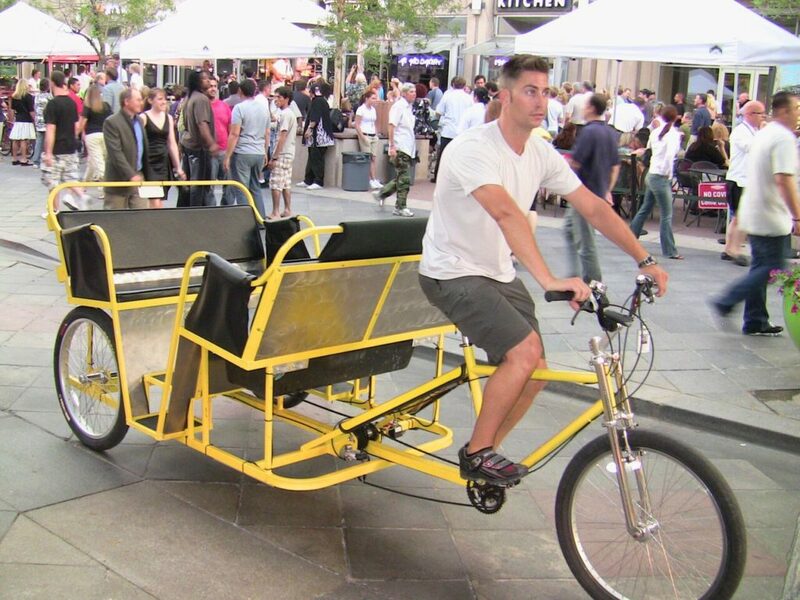 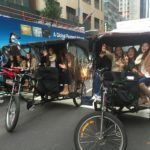 All Main Street Pedicabs™ use a Shimano 21-speed drivetrain with a rear axle differential and indexed, grip-shifting. 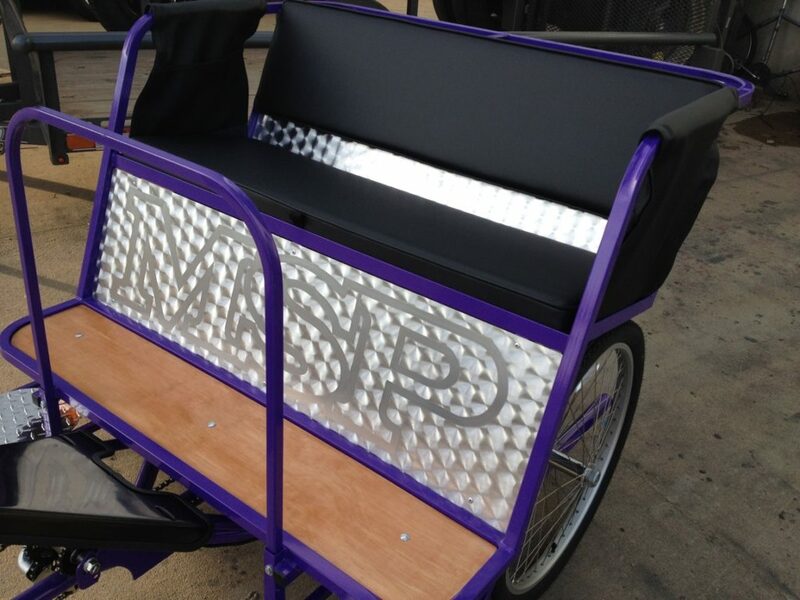 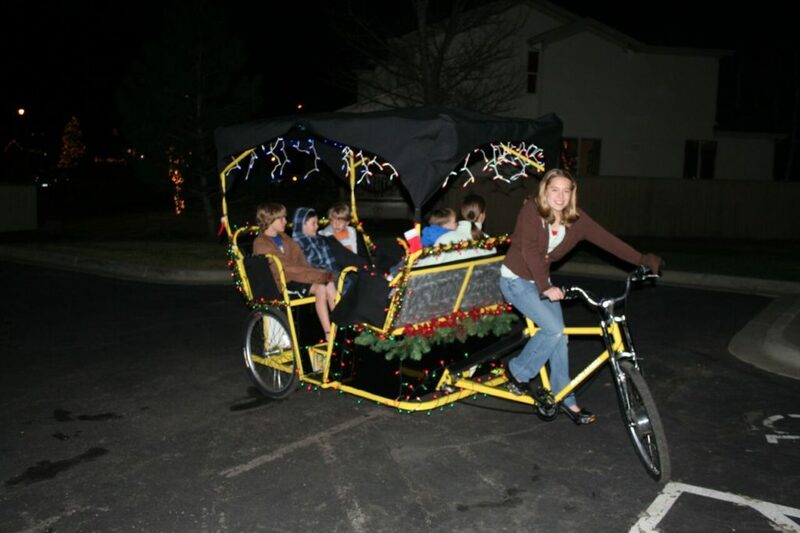 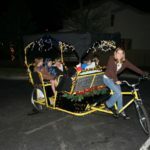 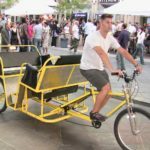 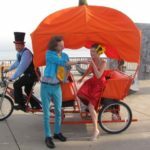 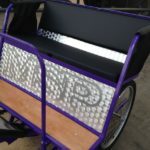 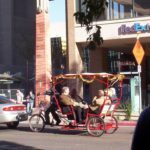 Your new Pedicab is shipped assembled (with the exception of the front wheel which must be installed) View all our official Main Street Pedicab accessories.